A regular copyright audit ensures that your organization keeps records of your copyright-protected works and other intellectual property. Auditing your copyrights assists you in determining your non-tangible assets and may allow you an opportunity to explore new revenue from these assets. Creating an inventory of your copyright-protected works may not be as straightforward as taking an inventory of your tangible goods. It’s best to approach this task in a systematic fashion. First, you should identify the copyright-protected works in your organization. Next, you must determine who owns these works: you, or someone else. Finally, you should examine how the works are being used and ways in which you may be able to exploit them. You should ensure that works that are part of your copyright inventory are still protected by copyright and are not in the public domain. Keep in mind special rules. For example, copyright protection generally doesn’t apply to U.S., government works. The U.S. protects most works by copyright for 70 years after the death of the author. However, this is a complex area of U.S. copyright law. A helpful chart on the duration of copyright protection and the public domain in the U.S. is available from Cornell University here. Who Owns Copyright in Copyright-Protected Works? Physical possession of copyright-protected works doesn’t necessarily mean ownership of the copyright in them. This is the time to determine whether you own copyright in the the copyright-protected works in your inventory. Generally, the author of the work is the first owner of copyright in it. There are, however, a number of considerations, as follow. Employment situations — Generally if a work was created in the course of employment, ownership of copyright resides in the employer. Different countries — Some countries have special rules for determining copyright ownership of specific works. Review the laws in your own country. Pre-existing works — Do you merely own a work and not any copyright in it? Did you acquire a transfer of ownership when you acquired physical possession of that work? Do you merely have a license, (i.e., permission) to use that work in limited circumstances? As an example, you usually don’t purchase outright off-the-shelf computer software, but merely license it. The same is often true with videos and musical recordings where the public use of it requires permission. Licensed databases would also fall into this category. 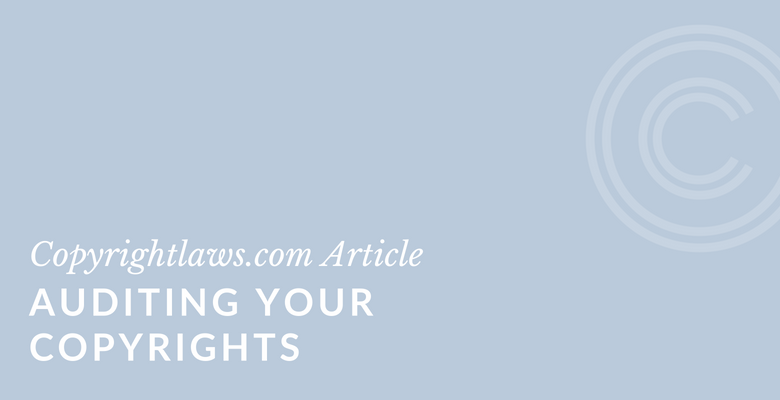 Moral rights — Who owns the moral rights in a work in your inventory of copyright-protected works, or have these rights been waived? These rights protect the integrity of the author of the work. 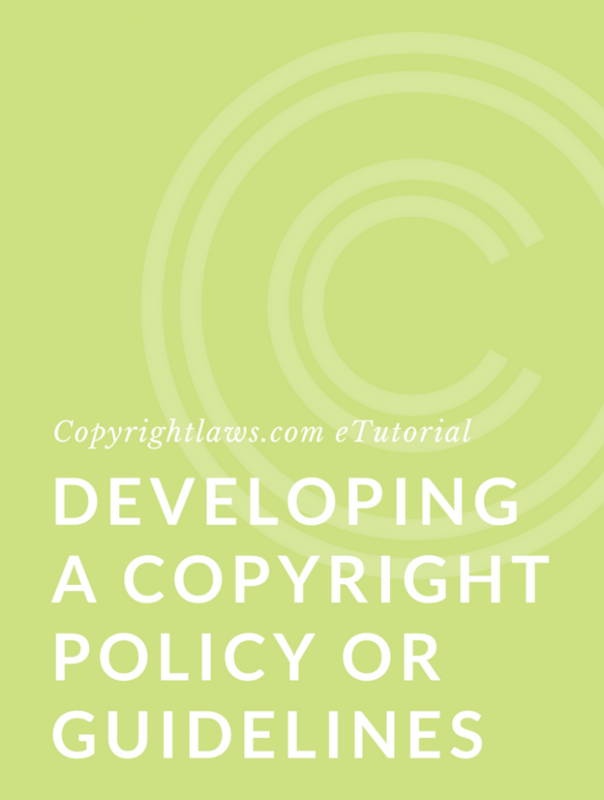 Even if you own the copyright, you may not own the moral rights and may not be able to adapt the work or use it without including the author’s name. In the U.S., moral rights only apply to works of visual art, whereas in Canada and elsewhere, moral rights apply to all copyright-protected works. Restrictions in licenses — Are there restrictions relating to the use of a work via the license or assignment of rights in the work? Did you sign an agreement when acquiring the work that limits how you may use it? Once you determine if you own copyright in copyright-protected works or have the rights to exploit them, you should determine which of the works in your inventory have been licensed or assigned to others. Generally, this is a way for you to make money from your works, or to let others use them for free in exchange for a credit and promotion of your organization. Have you previously exploited the work? If so, what was the value of that work? What were the terms and conditions of that exploitation? Speak to your marketing people and see if they have any ideas. Ask those who generally provide permissions to requests from outside your organization to see if they have suggestions for further allowing others to use your works. Are others interested in using your images on their corporate documents or in periodicals or newsletters? Do your Powerpoint presentations have value to others? Do you have a database that someone else may be able to use for research or commercial purposes? Digital media and the internet have opened a whole new world of need for a large variety of content. What content or copyright-protected works that you own can help fill this need? If possible, conduct a copyright audit upon or as soon as possible after the formation of your library or organization. If you haven’t done this, consider an audit as soon as feasible. You may also undertake your first or a subsequent audit at the beginning of a new large project, or when you create or acquire an important new work or set of works. Further, a change in the copyright law may necessitate an initial orsubsequent audit. It’s a good idea to inform others in your organization you’ll be auditing your copyrights on a regular basis, and for everyone to regularly keep track of copyright-protected works as they’re created or acquired. 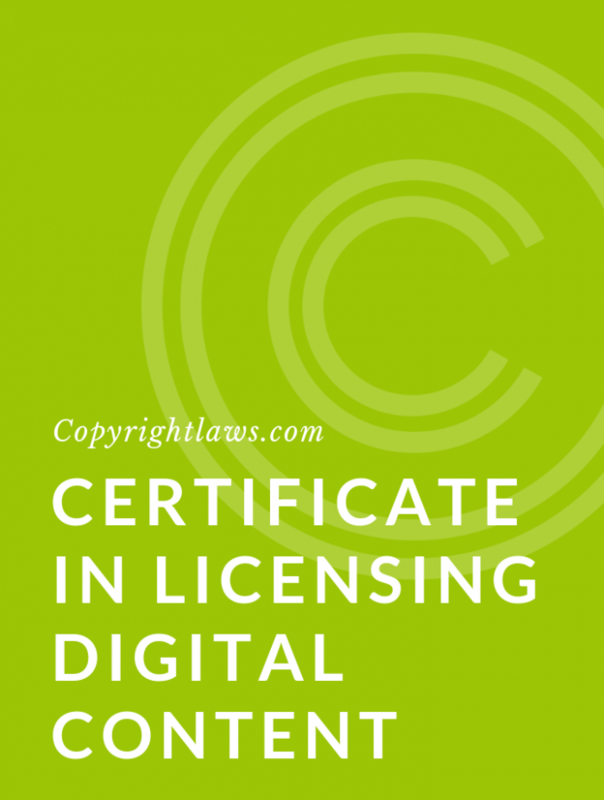 See our article 8 Steps to Copyright Compliance.